Seymours Land & New Homes has had a very busy and exciting year so far at Oaks Meadow, the stunning new development of 84 homes in West End by award-winning developer Shanly Homes. Phase 2 has now launched with a brand-new four bedroom show home opening this Saturday 29th September. 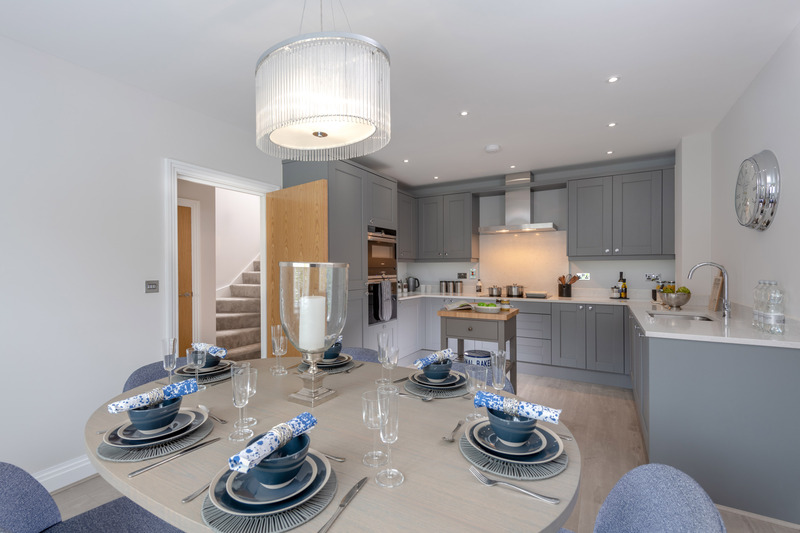 It will consist of 2, 3 and 4 bedroom homes boasting spacious interiors with oak and polished chrome detailing, high specification integrated appliances and state of the art media connections. Surrounded by lush green meadows and mature trees, Oaks Meadow is beginning to take shape as an established development with new residents calling it home. The exterior of each property has been thoughtfully designed to complement the local surroundings offering cutting-edge modern living in the heart of rural Surrey. The charming village of West End is perfectly located just a few minutes away offering amenities such as Pharmacy, Coffee Shop and a small Marks & Spencer store. Education is well catered for families with two excellent schools within striking distance; the highly regarded Gordons School and Holy Trinity primary school. Prices from £365,000 with Help to Buy available.